The length of this book may seem daunting and potential readers may be wondering if a good mystery/crime novel can actually sustain itself over nearly 500 pages. I had the same concern myself, but the author's done something very different here that put my worries to rest. Instead of one long narrative, he offers us six shorter ones all connected via the main character and Hong Kong itself, ranging from 2013 to 1967. No, I did not mean 1967 to 2013 -- this book runs chronologically backwards. 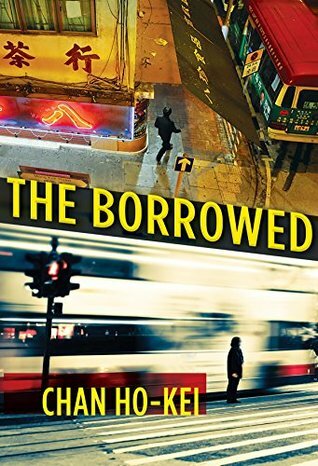 The Borrowed is a series of six crime puzzles to be solved, combined with a hefty dose of social realism; it's also a page turner with lots of unexpected twists along the way. "each one fuelled by mysteries and clues, but all six fitting together to form a complete portrait of society." The star of this show is Kwan Chun-dok, who as the first story opens, lies dying of cancer in a hospital. He is a retired police superintendent, respected and revered by his superiors and those below him in rank as well. He's that rare legendary figure, whose powers of deduction and his ability to take in everything about a case has given him the moniker of "The Eye of Heaven." Kwan is also mentor to the other major (and younger) figure in this book, Sonny Lok. Reading backwards, we follow the Superintendent's career from his latter days back to his origins as a beat cop; Sonny Lok also grows from rookie status to Inspector. At the same time, the time frames in which each story plays out says something about different moments in Hong Kong's history; as just one example, the handover of Hong Kong from British to Chinese rule in 1997 plays a role in one of these stories. They are all, as I said, puzzles to be solved, with plots ranging from the murder of a high-profile family member down to a series of politically-motivated bombings that launched Kwan's career. The crime-solving aspects of this book are highly original, at least in comparison to most police procedural novels I've encountered. I have to admit that the first story, "The Truth Between Black and White: 2013," nearly sent this book flying across the room because of what I felt was a wholly unbelievable premise. Cue inner groaning and eyeroll. However, I stuck with it and was rewarded with a big laugh -- it seems that the joke was entirely on me. I mention this bit of information because what happens here might cause other serious crime readers to have my same reaction, so hang in there. And while they're all quite good, my favorite of the six is "The Prisoner's Dilemma: 2003," which involves the struggle between two major triads, drugs, and the case of a missing young woman. The major twist in this tale blew me away completely, using a device that I thought was a stroke of genius on the author's part. Whether or not you get the "complete portrait of society" in this book over time as the author intended will probably come down to reader perspective. I will say that the book moves around various areas of Hong Kong and does include all manner of people within them, from the highest of the elites down to people on the street. Mr. Chan takes us through turbulent political times and upheavals, examines the rampant corruption within the police department, resentment against the British as colonial masters; he sends us through the famous Hong Kong street markets, and on into neighborhood streets and then into areas ruled by competing Triads, etc., with much of the action taking place in the same areas over time. And then there's the question that ran through my head the entire time of why this book goes backwards in time. I'm thinking that perhaps it's more than just highlighting the career of the Superintendent and how things change yet remain the same over time; at the end, for me (without giving away any spoilers on my part), it came down to one simple question that brings everything full circle back to the beginning of the book. Hint: you have to be on mental alert for this one -- it's all in a name. It also, I think, gives great insight into why Kwan has such a 360-degree view when it comes to crime solving, all stemming from a single event. Overall, The Borrowed is definitely a no-miss book for readers who enjoy moving well out of the crime fiction mainstream and into something completely different. And while I don't think it's perfect, it ended up being a page turner that I absolutely could not put down once I started it in earnest. 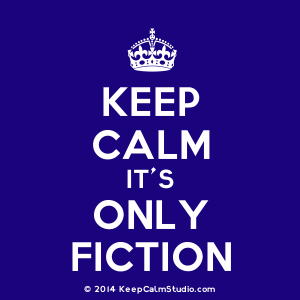 Its originality will shake anyone out of his or her mainstream reading rut for sure -- after you read it, standard crime fiction fare will seem blah and tame in comparison.